Active travelers want to get off the tour bus and onto their own set of wheels. 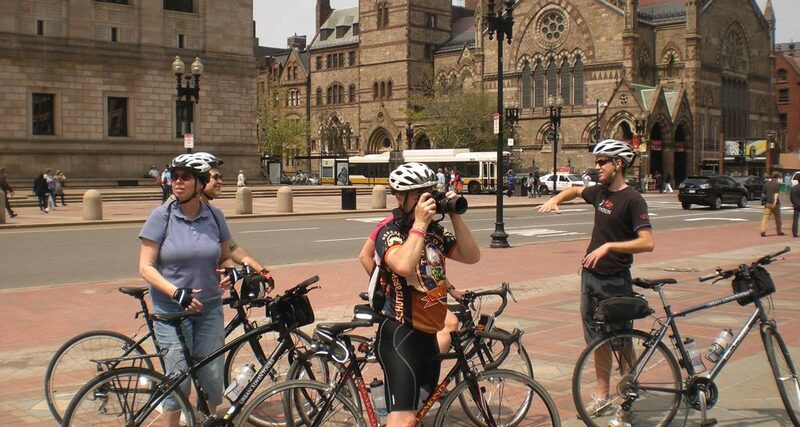 Bicycle tours bring travelers closer to their surroundings than looking out a bus window allows. And with more cities adding bike lanes and bike-share programs, including biking as part of a city tour is easier than ever. Some hotels even offer free bikes to guests. Electric-assist bikes let travelers who aren’t in the best shape travel on two wheels. You can also look for a bike with more than two wheels. You can also look for a bike with more than two wheels; party bikes let groups of a dozen or more pedal their way together. 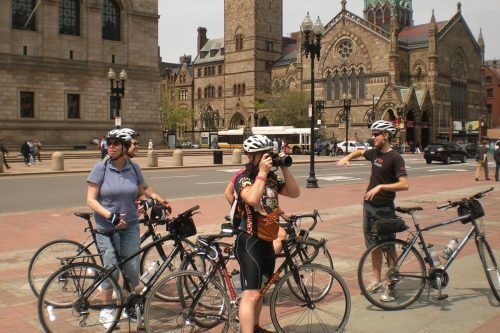 If you include biking as part of your tour, make sure you know the local rules, such as whether riding on the sidewalk is allowed and whether helmets are required. Be prepared with locks to secure your bikes when you stop. In the busiest cities, riding in traffic can be overwhelming for out-of-town visitors, even on streets with bike lanes, so stick to quieter streets or trails designed for bikes and pedestrians. Here’s a look at biking options in some East Coast cities your bus is likely to visit. Biking in Boston can be challenging during the winter season, when the city’s bike-share system may shutdown. During the rest of the year, the system spans Boston and the surrounding communities. You can also rent bikes and get guided bike tours from Urban Adventour. Within Boston, biking options include 18 miles along the Charles River Esplanade, looping around both sides of the river; slow down to watch sailboats in the water. Riders pedal through greenery on paved roads at the Arnold Arboretum. The “Emerald Necklace” links parks designed by Frederick Law Olmsted. A ride from the JFK Presidential Library and Museum to Castle Island allows views of the harbor and a chance to poke through Fort Independence, an early fortification and harbor defanse. For a chance to ride in the footsteps of Paul Revere and other American revolutionaries, ride along the Minuteman Bike-way, which runs from Cambridge to Bedford, passing through Lexington along the way. Washington is a great city for biking, with 40 miles of bike lanes and 800 miles of bike trails. Almost all are flat, though some may be pebble, dirt or clay, instead of paved. The Capital Bikeshare program offers day passes that include 30-minute rides; there are rental companies that offer more cost-effective rentals for day-trippers. Riders can pedal past the major attractions and around the National Mall. For those who want guided sightseeing, Bike and Roll offers tours that cover the major monuments, including options to see them illuminated at night. 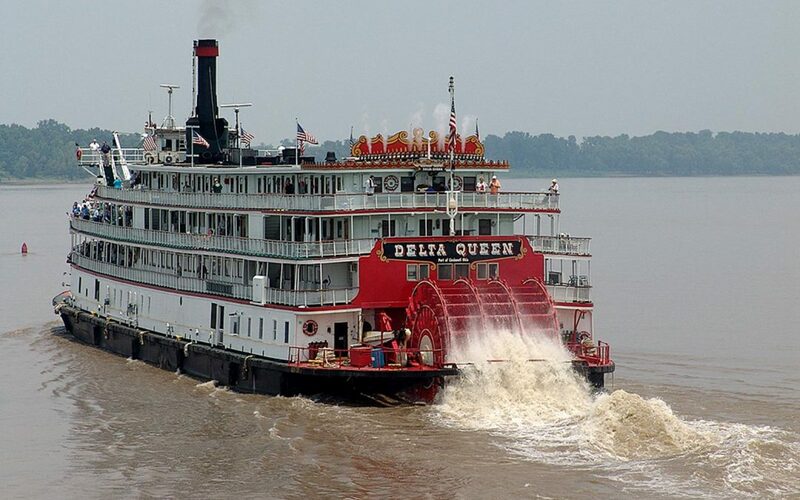 For rides out to Mount Vernon, Bike and Roll has tours that let riders with less endurance take a boat or bus ride for the return trip. Besides riding through the city streets, consider pedaling the Capital Crescent rail trail, which takes you through Georgetown; the Mount Vernon Trail, which runs along the Potomac and offers D.C. skyline views; and the Chesapeake & Ohio Towpath, which takes you through the Chesapeake & Ohio Canal National Historic Park. 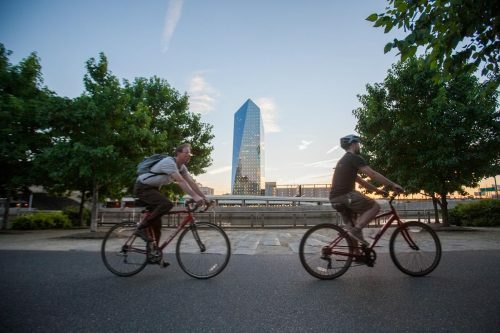 The City of Brotherly Love welcome bikers with 435 miles of bike lanes and bike-sharing program. The Benjamin Franklin Parkway takes you past a mile of museums and monuments. 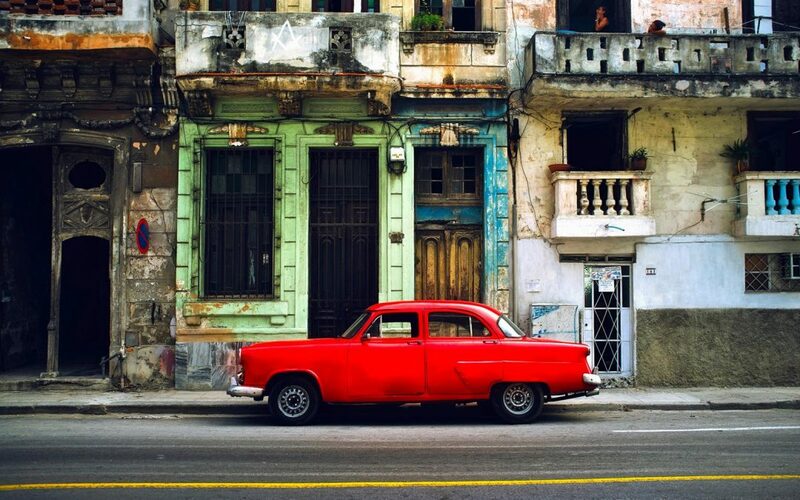 Stop to visit the Rodin Museum or the Philadelphia Museum of Art. You can pedal from the city center along the Schuylkill River out to Valley Forge, riding across a boardwalk with views of the city’s skyline. The Forbidden Drive in Wissahickon Valley Park lets you pedal along the creek through a wooded landscape; the terrain is rugged enough that mountain bikes are recommended. There’s more mountain biking on the Belmont Plateau inside Fairmount Park. Philly Bike Tour Co. offers guided bike tours around the city, while Wheel Fun offers self-guided options. Wheel Fun also rents tandem bikes and covered surreys in addition to conventional road and mountain bikes. Big Red Pedal Tours’ “pedicycle” takes 12 pedalers and three riders on tours around Philadelphia, with stops to turn it into a history tour or pub crawl. New York’s unyielding congestion makes it a forbidding destination for bikers unfamiliar with crowded busy streets. Although bike lanes have been added to many of the avenues, it’s probably best to stay out of traffic. Fortunately, it’s easy to find biking options that are car-free: there’s biking in Central Park, in the outer boroughs or on the Manhattan Waterfront Greenway that cccles the entire city at the water’s edge. Pick up your bike from the Citi Bike share program of from one of the rental shops in the city. In Central Park, follow the park drives clockwise. Your path can be as long as 6 miles. You can pedal on your own or take a guided tour to park landmarks like Belvedere Castle and Strawberry Fields. 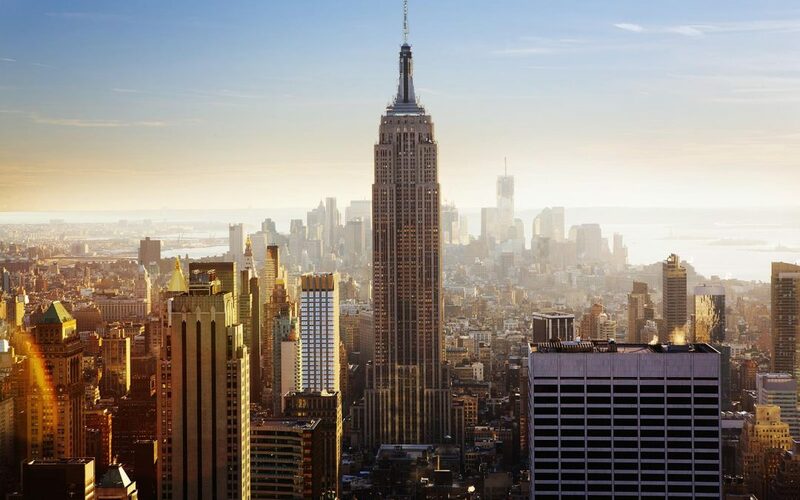 Ride the Hudson River Greenway downtown through Riverside Park on the West Side; pass the USS Intrepid floating museum and continue south for great views of the Statue of Liberty as you reach the southern tip of Manhattan. You can wrap around and head back uptown on the East River Greenway, through that will require some biking in the street, depending how far uptown you go. Another classic bike ride in Manhattan, with views of the skyline, takes you across the Brooklyn Bridge. Once in Brooklyn, there’s more biking, including the first bike path in the US, Ocean Parkway. 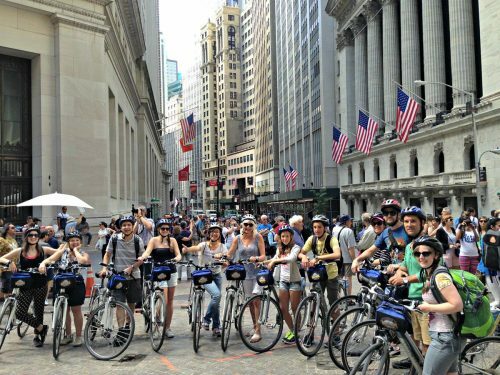 These routes are easy to follow on your own, and you can also arrange guided bike tours from companies like Bike and Roll NYC or Bike the Big Apple. Baltimore’s Charm City Bike Share program is expected to start in late 2016; there are also bike rental companies. Within the city, bike rides around the Inner Harbor offer views of the water and many chances to stop for refreshment. You can pedal past many points of interest, ranging from Federal Hill to Fort McHenry, where the battle that inspired the Star-Spangled Banner occurred. (The ride to Fort McHenry requires one uphill leg). If you can’t get enough of airplanes, the BWI trail takes you around the airport with great views of the runway. There’s a more natural view if you ride the Gwynns Falls Trail or the Jones Falls Trail following the stream’s downhill flow. Light Street Cycles offers guided rides through the waterfront and Baltimore’s historic areas as well both fall trails.